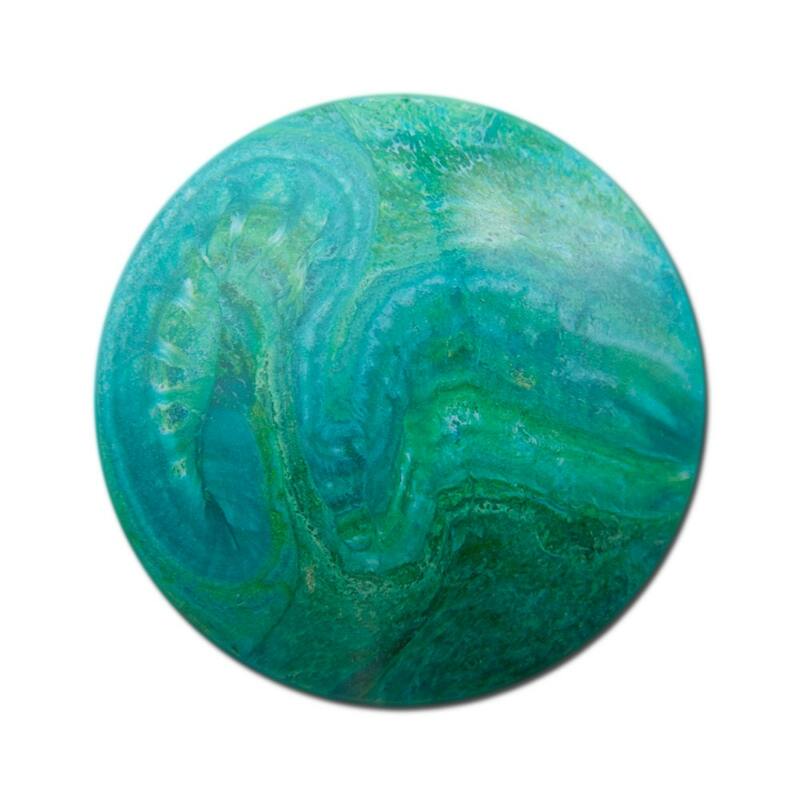 Color: Various shades of green, a touch of blue occasionally and white random swirls. 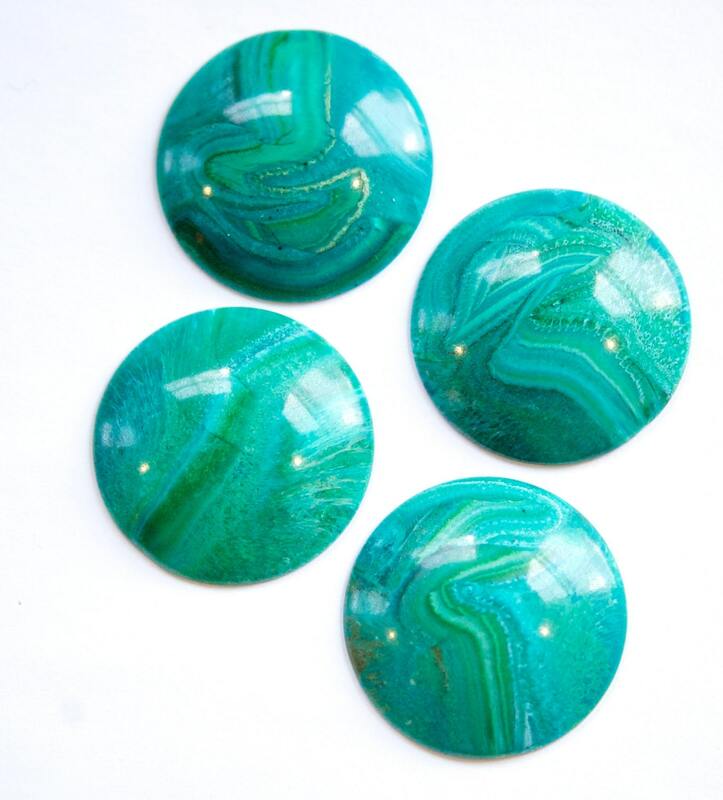 Additional Information: No 2 cabochons are the same. The pieces you receive will be similar but will not be marbled exactly the same as those pictured. Really Pretty!! Fast shipping! Great seller! Fast shipping item as described. Even prettier in person! Great coloring! Shipped quickly and beautifully packaged. All items as described or better! Thank you!